FCKLL, a local non-profit organization, has been a fixture in Falls Church since 1948. 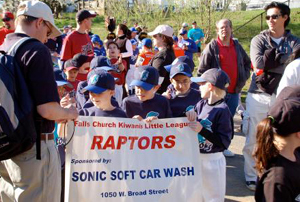 Over the years, thousands of local boys and girls have had the opportunity to play baseball due to the generosity of sponsors and the hard work of more than a hundred volunteer managers, coaches and parents each year. 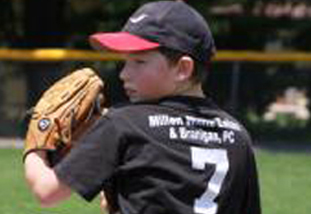 Every dollar raised in sponsorship goes right into the direct expenses of the league. Your sponsorship helps us repair and maintain fields, and upgrade and maintain equipment. This year, FCKLL needs to continue to invest thousands of dollars to upgrade fields because we have lost the use of three of our usual fields due to construction. Coupled with the rapid growth in participation, this investment in infrastructure is a challenge. But it's a challenge we can meet with your help. Please click the sponsorship name below to submit an electronic payment. Act now, we have limited Platinum availability! Regardless of which level you choose, your company will reach hundreds of Falls Church area families. This year we are continuing to recognize sponsors in periodic email alerts throughout the Spring and Fall seasons to our participating families, coaches and volunteers reminding them of your support of FCKLL. Sponsoring a FCKLL team allows you to focus your limited advertising dollars to reach hundreds of local families for as little as a dollar a piece. Moreover, you will have the satisfaction of knowing that you are helping to promote your business while enriching the lives of hundreds of area children. On behalf of the FCKLL board, its managers, coaches, and—most importantly, the participating area families and children—I thank you in advance for your support. We value having you on our team! Questions? Want to discuss options? Please contact Flink Maco at 202.468.8686 or Kirsten Fatzinger at 703.232.5121 or sponsor@fckll.org.